Every Halloween season, patterned pencils in fun holiday colors become available in large bags for a nominal price. These are one of my favorite items to give out to children who come trick or treating to my home. They allow me to skip the sugar, provide something they can use as a school supply and keep from year to year if I don’t happen to give them all away. 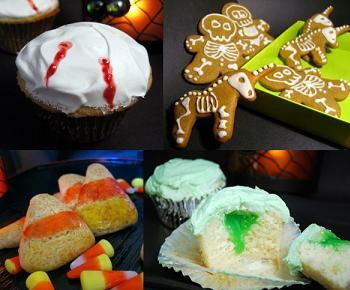 As an added bonus, these Halloween treats are popular with younger children and high school teens alike. As with the pencils, holiday themed erasers are the sort of cheap Halloween treats you can use from year to year. They are typically available in shapes such as bats, skulls, pumpkins and more, providing a decent variety of handouts on the big night. If you’re looking for an exceptionally cheap candy option for your Halloween treats, consider the individually-wrapped peppermint balls available in the candy aisle of your favorite bulk shopping store. They are inexpensive and come in their own container, making it a breeze to disperse your goodies when the children arrive. While many people are uncomfortable with hand-crafted treats being handed out from a home they don’t have a connection with, choosing to celebrate Halloween with house parties where all guests know each other is becoming increasingly popular. If this idea appeals to you, then homemade caramel corn may be a solution you want to consider. Easy distribution is possible by storing the finished product in bulk-purchased Chinese takeout boxes or decorated brown paper snack sacks. Stickers are the sort of cheap Halloween treats that make a nice extension of the other items you are giving out. For example, purchasing a large number of sticker sheets makes it possible to provide one to each child to stick on their hand after you distribute candy. You could also purchase larger, more elaborate stickers as your main give away item. Throwing Halloween parties usually means including a fair number of activities and party favors. An inexpensive trinket to have on hand is spider rings. They are usually available by the bag at dollar stores and discount department retailers. Kids tend to enjoy them, and they are easily displayed in a basket or decorated bowl near your entryway. Spider rings aren’t the only bulk specialty item you can use for cheap Halloween treats. Other fun things are available for ordering as well. For example, one year my husband and I ordered glow-in-the-dark bouncing balls with alien graphics imprinted on them from Amazon. The cost was nominal, and they were a huge hit on the big night. Using clear, plastic kitchen gloves and stuffing them with things like popcorn, candy corn and trail mix makes for an unexpected and whimsical snack offering. Simply tie off the wrist end after stuffing with black ribbon and perhaps add a spider ring on one of the fingers. If you are unsure how to get started, check out this article on how to make spooky popcorn hands. It will provide plenty of inspiration. Let’s face it, they’re certainly the right color. Additionally, they are available by the crate at most grocery stores and allow you to keep things healthy at a time when most households are suffering from sugar overload. While this is also one of those food items strangers might not feel comfortable receiving, it’s certainly workable for close family and friends. Whether you go with the variety in the traditional silver wrapping or select some holiday color and flavors to use as cheap Halloween treats, chocolate kisses keep it simple and allow you to dump a large number of treats into a single bowl for easy distribution. Purchasing individually-wrapped toothbrushes in bulk gives the kids a new personal item they can get excited about using, and parents a temporary relief from calorie overload. It’s worth noting with this suggestion that its affordability may vary depending on the price point you are able to secure the toothbrushes at and how many trick or treaters you typically have on Halloween. Also available in bulk and in a variety of colors, lollypops are a simple give away that won’t break the bank. If you don’t have a large candy bowl to use on Halloween night or don’t wish to purchase one, you can transfer the lollypops into a coffee mug since it’s relatively simple to stand a bunch of them up straight in one. Just refill when your supply runs low. It comes in fun colors and is wrapped in a white, twisted paper that’s appropriate for a Halloween color scheme. Saltwater taffy is definitely a bit on the sticky side, but a fun nostalgic treat nonetheless. It’s also a good treat for mixing in with other small candies. If shopping in the candy aisle at your favorite bulk warehouse store doesn’t appeal to you, then perhaps strolling through the section that offers individual lunch treats might provide more inspiration. Individual mini packs of pretzels available by the case provide a tasty treat that’s low in sugar and fat. Similarly, multi packs of crackers with flavored fillings are popular with tots to teens and can be purchased inexpensively in large boxes. With the prevalence of peanut allergies, you may want to avoid the nut butter flavors, but there are several other options available to help you on your quest for cheap Halloween treats. Another way to skip the sugar altogether is to purchase or make Halloween soaps as your give away of choice. These spooky soaps from HGTV are a fun project to consider, but there are certainly plenty of other craft solutions online to research if you so choose. Twisty straws are a hit with all groups, including those grownups who are still kids at heart. Search out fun colors with lots of twists and turns as well as a decorative item attached. Kids will enjoy having them to take with school lunches, and adults can use them to sip a Halloween cocktail or two. Compact enough for easy storage, old-fashioned candy sticks come in a variety of colors and flavors. Kids typically enjoy the retro treats, and they are certainly easy enough to order and have shipped by the case. Consider orange, black and white candy sticks to maintain the traditional Halloween color scheme. For a sweet treat that isn’t candy, you can also purchase individually-wrapped lunch box cookies from the warehouse store. I’ve seen a number of varieties suitable for Halloween treat giving, including chocolate and vanilla sandwich cookies as well as filled cake-style cookies. More suited for handing out at a private party, these candy-coated ghost sticks are a fun project to do with children and use pretzel rods in a creative and unexpected way. They also store upright in a decorative mug or glass, and take up less room on the counter if you are entertaining in a small space. Clearly, cheap Halloween treats don’t have to be chintzy or boring. Consider one of these twenty options for your holiday giving this year. Holiday costs, no matter what the holiday, can really sneak up on you! And with Christmas not far after Halloween, you really don’t want to be splurging! Shh. We go trick or treating with my kids early ( around dinner ) since they are very young. We get tons of stuff then we can give it away. Everyone wins! I used to like getting a can of pop, or a water, as everyone is giving food, and usually I was running from house to house. I liked some liquids. Not really a frugal idea though.